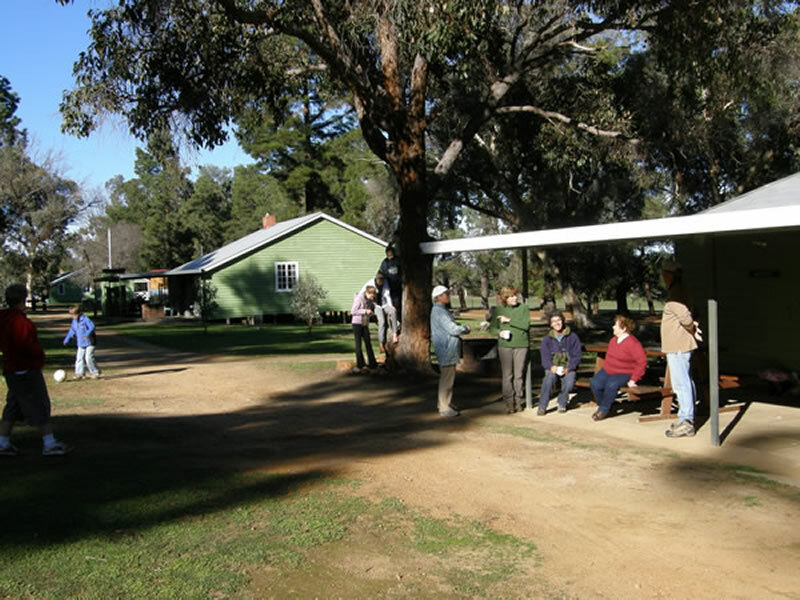 The Dryandra Woodland Village is an experience for the individual, a couple, family and groups. On arrival, you are greeted by John and Lisa who will direct you to your accommodation. They are also a valuable source of information on birds and animals in the woodland and activities in and around the village. Your cottage will have been meticulously prepared for your comfort and convenience. After you have unloaded your gear and settled in, sit on the porch and contemplate your surroundings. The paddock out front has kangaroos, currawongs and magpies. It is peaceful and relaxing. You may want to have a walk around the village first up to familiarise yourself with your surroundings. Take your camera, binoculars and a bottle of water. There could be birds, kangaroos and echidnas that you want a closer look at and trees and plants to photograph. Back at your accommodation, if it is cold you may want to set and light the fire. This may require a bit of wood chopping (not on the slabs please) from the bag left at the back door by the caretakers. Once lit you can sit in the comfy lounge chairs and make plans for the next day. 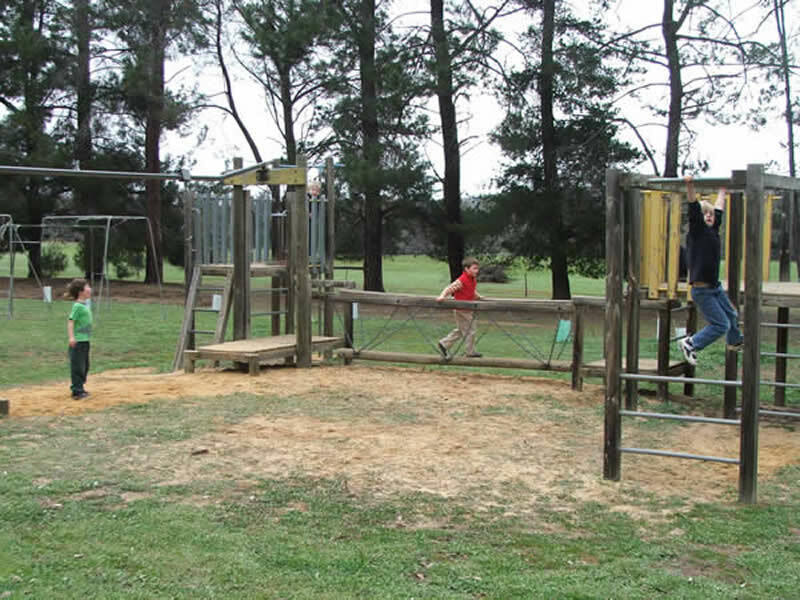 The village has a tennis court, playground and plenty of space for the children to ride bikes and play games. The Woodland has walk trails, radio drive trail and picnic areas to keep you busy during the day. Book a tour to Barna Mia for the evening. The kitchen is fully equipped with a full size fridge and stove, and all crockery, cookware, utensils and cuttlery to enable easy meal preparation. So in no time you are fed, the dishes washed with good hot water and the kitchen tidied. Then you decide to read for a while in the lounge which is comfortable and on a cold evening is warm and inviting because of the fire that is slowly burning. You start the book you have been meaning to read but have not had the time. Well you have all the time in the world and as you read, you feel the quietness and the ambience of your surrounds. It is timeless here at the Lions Dryandra Village. Check out the possum box on the front verandah at dusk as you will probably see a family of possums emerging for their night time activities. An evening stroll seems like a good idea. Take a torch as you may see more possums and maybe an owl. Listen for the curlews and any other night sounds. Look up and see the most amazing array of stars, visible here on a clear night like nowhere else because of the low ambient light. Now early to bed to prepare for a full day of adventure tomorrow. You smile to yourself. It has been a good day so far. A good experience in the Lions Dryandra Woodland Village.